How have you been? For me I am busy buying and eating oranges. I love oranges, this is one of my favorite fruit. I feel colder during winters so I try my best to win layering game. Another thing is skin care. You know how I am taking care of my skin using Derma Amaze Cream and Fuschia Soaps. For a brighter face we need to do just a little more. It is by adding a nice compact or face powder in your daily use. Skin looks uneven, dull, pigmented due to exposure to pollution, dust. Application of compact brightens up face and a good compact can last up to 8-9 hours. 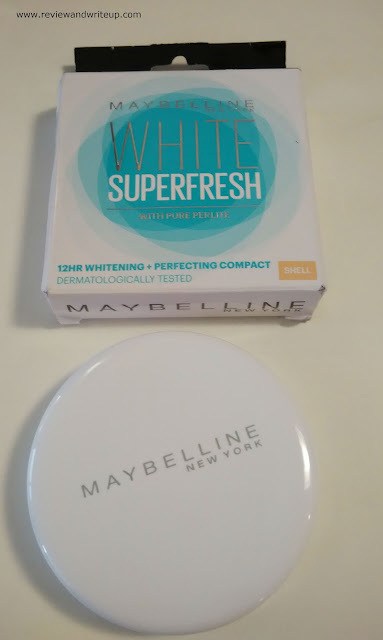 Continuing my love for Maybelline I got there newly launched Maybelline New York White Super Fresh Compact Powder. You know my story of how I love their lipsticks a lot. About the Product – Maybelline has launched a new, budgeted compact in three shades Peal (light to medium skin tone), shell (medium), coral (medium to dark). These are priced at just Rs. 150 each, isn’t that cool? 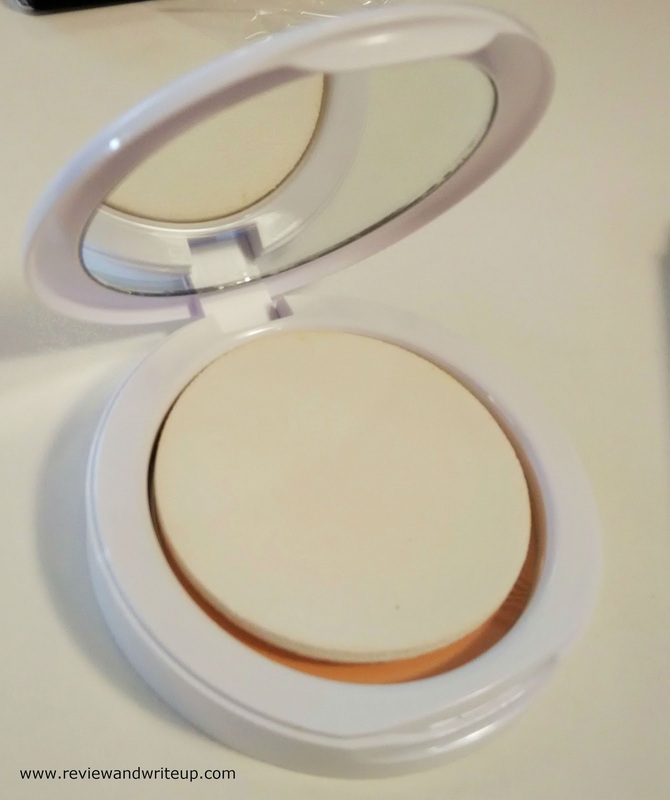 Packaging – Compact powder is housed in a sleek, white color pan which is super cute. There is a small, round mirror and puff is of great quality. The compact would come with a plastic sheet cover which you can remove once you start using on daily basis. Pan is packed in a nice white-aqua blue color combination super cute card board box which has all the detailing. Brand Claims – Compact has good lasting power upto 12 hours, one doesn’t need constant dabbing, touch up, absorbs sweat and doesn’t make skin look patchy, keeps one fresh and fair throughout the day. My experience – I was super excited to try out their budgeted compact. I got Shell for my medium skin tone. For me I need something quick due to my super hectic schedule. Job, travel consumes almost whole day of mine. I am left with little time for other things. In this hectic schedule my worry is skin care. I will tell you what I do for my skin care. In the morning during bath I wash my face with face wash nicely covering whole neck from front to back. After bath I apply Derma Amaze Cream by applying dots all over face. Once it’s applied well, I use Maybelline compact to complete my look. I apply lipstick, kajal and yes I am done for whole day. My skin stays fresh and bright for whole day. 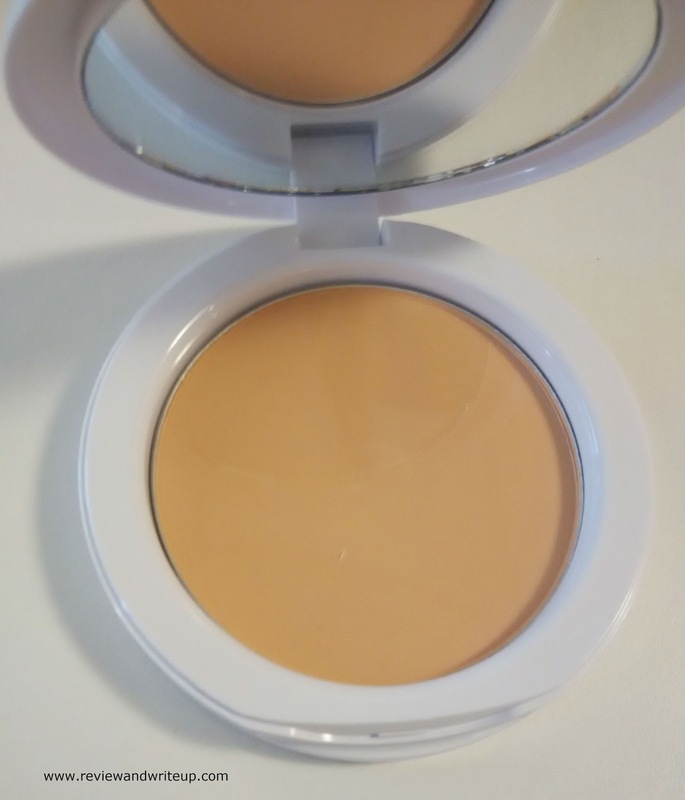 The compact is really good and it stays on my skin as it is from morning till evening. It makes my skin even, lightens pigmentation, dark spots. Also with its regular usage I feel that even if I sweat sometimes my face doesn’t seem patchy. Skin stays matt. I have used it in the evening also with my CC cream. Best thing is that it doesn’t look overboard. It gives you natural, flawless look. Ohh I am loving it. Last week I was wearing the compact when my other sister complimented me by saying what is that you are glowing so much. Her compliment made my day. Love you my dear, mwahhh. For me it’s a great compact. Just imagine in Rs. 150 you can get perfect looking skin. Even though I don’t need it for whole day then also I love keeping it in my bag (thoda showoff to banta hai na, haha). My compact lasts for good two-three months. I am sure you would love to get one for sure. Click here to buy online. R&W Recommendation – You wish to look flawless, naturally perfect every day get one. You are planning to surprise your dear friend gift her Maybelline compact. It won’t lighten your wallet. Great review! Glad you are liking it.. Maybelline products are generaly great but unfortunately I did not find any shade match for this compact powder ! I have read such good reviews about it, in particular for oily skin. I need to get this ASAP! The product is definitely amazing for the price. But I wish it came in more than 3 shades.